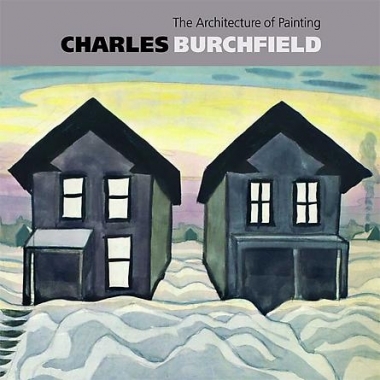 DC Moore Gallery is pleased to announce the opening of Charles Burchfield 1920: The Architecture of Painting on March 18, 2009. The exhibition brings together for the first time a group of innovative Modernist paintings created by Burchfield during the pivotal years of 1918 through 1920. Distinguished by their austere architecture, these important works feature stark houses and views of industrial landscapes that mark his engagement with a new aesthetic direction. A 112-page catalog with sixty color plates and essays by Michael Hall and by Nannette Maciejunes and Karli Wurzelbacher will be available. The exhibition will travel to the Columbus Museum of Art, Ohio, from May 22-August 2, and to the Burchfield Penney Art Center, Buffalo, New York, from August 29-November 29, 2009. The paintings in the exhibition provide a unique opportunity to consider Burchfield’s developing aesthetic. Moving away from his earlier engagement with landscapes of the natural world and a personal visual language of fantasy and anthropomorphic forms, he utilized modernist pictorial strategies and reduced his compositions to basic components, to a severe geometry of houses and factories, barren trees, and stylized smoke undulating across the sky. In the simple forms of vernacular architecture, Burchfield found an ideal focus for an investigation of cubist space and other contemporary artistic ideas. Among the highlights of the exhibition, Houses in the Snow features three dark brown dwellings that confront the viewer, with another two in the background, plumes of smoke rising from their chimneys into an overcast winter sky. The modest homes of working families, they are at once familiar while also somewhat mysterious, raising the question as to what secrets they might conceal behind their facades. Factory and Houses explores the stark poetry of an industrial landscape in an Ohio town. A factory dominates the middle ground of the composition, surrounded by expressive houses that are no doubt occupied by workers and their families in a circumscribed world of small-town life. In Houses in a Snowy Winter Landscape, two rows of simple, single-story dwellings create a neighborhood of sorts. The focal point of the painting is a train tunnel that suggests movement and activity, though neither train nor human is in sight. The tracks disappear into the darkness of the tunnel towards a mysterious symbol that beckons the viewer. Created immediately after Burchfield began to read the novels of contemporary realists such as Sherwood Anderson, Sinclair Lewis, and Willa Cather, the paintings are his first sustained effort to address themes that would involve him throughout the 1920s and 1930s. As innovative investigations of regional subjects, they are part of the emerging American Scene painting movement of which Burchfield was a founding figure. As one of the most inventive artists of the twentieth century, Charles Burchfield’s work is represented in virtually every major collection of American art in this country. He has been the focus of a number of important exhibitions over the years, beginning with an exhibition of his early watercolors at the Museum of Modern Art in 1930. Last fall, the Burchfield Penney Art Center, a museum devoted to the artist as well as Western New York State art that was founded in 1966 as the Charles Burchfield Center, opened a new building in Buffalo. On Saturday, April 4, from 4:00-5:00pm, Nannette V. Maciejunes, Executive Director of the Columbus Museum of Art and a Charles Burchfield scholar, and Robert Gober, artist and curator of the forthcoming exhibition Heat Waves in a Swamp: The Paintings of Charles Burchfield, will present a lively discussion about the show. Reception to follow from 5:00-6:00pm. Please RSVP to 212-247-2111, as seating is limited. DC Moore Gallery is the exclusive representative of The Charles E. Burchfield Foundation.